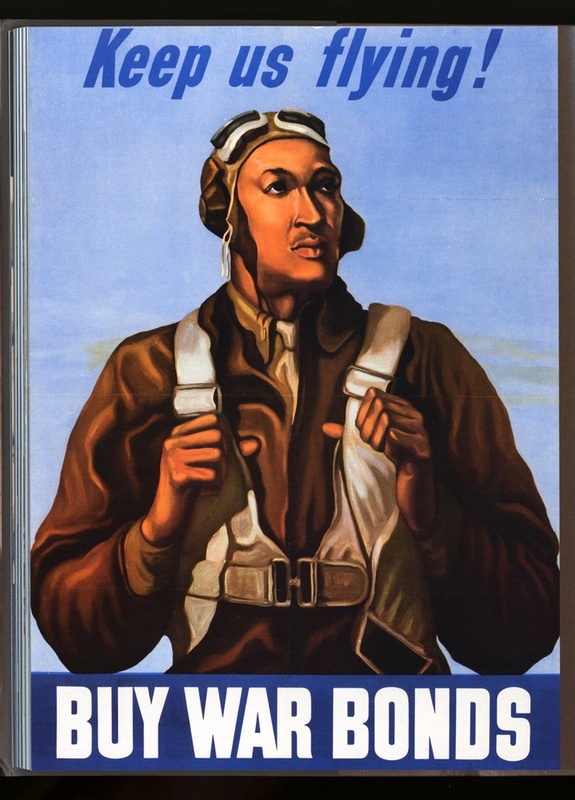 This war bond poster celebrated the service of black airmen. Selling war bonds in the United States during World War II helped control price increases and fund the war. Posters were designed to appeal to people’s sense of patriotism and civic duty. This poster features Tuskegee Airman William Diez.